Out of all the leadership characteristics that are key to success, this one lands at the top of the list as most important: Personal Accountability. Based on studies and research conducted by my Assessment Partner: TTI International, 98% of 6,800+ position hiring organization benchmarks Personal Accountability is listed as one of the top 7 personal skills required for superior performance. Friend, is what opens the floodgates to joy and power. It's empowering and freeing to 'own up' to all the good you've created AND all the issues. No covering up and no defensiveness leads to faster forward movement. Helping you and others move from a focus on the problem, to generating solutions. If you're good at this the people you work with will more than likely trust your intentions and model your behavior. They'll tend to own up more quickly when things go awry, and will also feel free to celebrate when things go well. 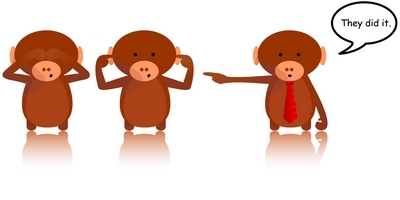 As a culture, we cannot stand it when people don't 'own up' to the things they've done wrong. We HATE this so much, we often retaliate. Here's real life example where 11 million people watched this very entertaining viral video created by the Band when United did not take responsibility for their actions. This story has been covered in the New York Times, on CBS News, won the group Digital Artist of the Year award and was as one of the top videos on all of YouTube, and a nightmare for United! According to a blog written by The Economist, this incident cost United Airlines10 percent of share value or about $180 million! I wonder why it took so long for the company to take responsibility. Earlier, would have been better. Does their slow response reflect a culture of leaders who probably score low in the "taking responsibility for your actions/personal accountability" area? Uhhhh...I would say most likely, yes! I wonder if the leaders of United are now trying to change a culture that was lacking this key leadership characteristic. The Viral Video is a good indication that it is totally true - we CANNOT STAND IT when executives, people or ANYONE shirk their responsibility. So what about you? Since this skill is truly as one of the top leadership characteristics, important to the bottom-line and your success in EVERY way, how high would you rate yourself on a scale 1 - 5 on this Statement? But, how do you really know if you're not strong in this most important of all leadership characteristics? I've noticed, maybe you've seen it too - People who ace the leadership characteristics of taking personal responsibility and celebrating success, often believe they need to improve. And, people who aren't very good at taking responsibility, often think they're strong! to the Wake Up Eager Community List. We value our connection with you. We also make unsubscribing easy, immediate and permanent. Did you take the quiz? For even more insight you can also consider asking others to rate you in the leadership characteristics and behaviors covered in the Quiz. Their perceptions and feedback may reveal blind spots - strengths and issues - you don't even realize. "How can this Assessment say I'm lower in Personal Accountability? I'm a go-getter. I get things done! I think I ALWAYS take responsibility!" He shared that someone close to him, heard him, took him aside and shared, "Bill you ARE great - but you're NOT strong in Personal Accountability. Think about it - when something's late or not done right, what do you usually say?" Bill laughed. "Okay, you're right. I don't take responsibility for everything that happens. I guess I could get stronger in this area..."
Bill was a dynamo. Loved by many. He was an excellent leader who found he might want tp build his own leadership characteristics, to become an even greater leader, by improving in this area. Can you relate? 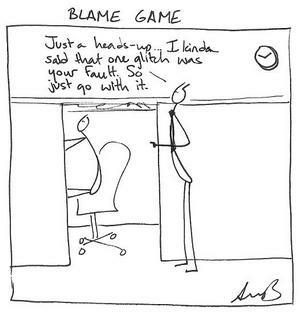 Are you blaming others more than you think? Blamed traffic/truck drivers/slow drivers for being late to an appointment? Blamed your hectic schedule for the reason you've put on a couple of pounds? Blamed your spouse for your bad day? Admitted that they should have left a few minutes earlier for their appointment. Acknowledged that, while being stressed because of a busy time, they've been skipping the gym and eating junk food more often. Accepted that no one is to blame for their bad day, other than themselves. Most us can improve in this area. Being strong here is one of the best stress relievers and leadership characteristics, because to have high personal accountability it to fully realize and own the fact that we create, and are responsible for, our own reality. And I believe this viewpoint is so much more empowering than being or feeling victim to others or circumstances. That's because we can control our responses and actions. We cannot however, control others - at least not for very long. Specifics @ what strength in this area looks like. 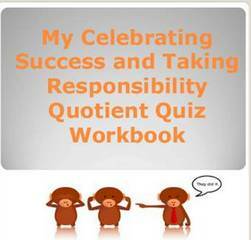 Four practical, actionable self development exercises with worksheets for tracking progress. Specific actions for improvement in this area. "I am responsible for all of my thoughts, feelings, actions and reactions to all situations." 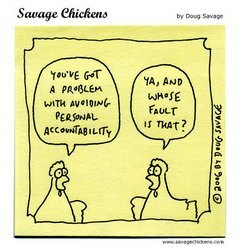 Do you now count Personal Accountability as one of the top Leadership Characteristics for success? And if so, how will you continue to build your strength here? How will you implement the ideas and exercises in the Workbook? Share your thoughts BELOW and read what others have shared about this Skill. Additional Resource #1: To read another Post about this Skill, check out: The Six Best Interview Questions EVERY Hiring Manager Should Ask EVERY Candidate, where I share interview questions that help you determine if someone you're hiring someone who has high Personal Accountability. Read that Post, here.